To learn more about SABRE and its partnership with National Breast Cancer Foundation, visit www.sabrered.com or call 800-325-9568. SABRE, the leading brand in personal safety and most trusted pepper spray by police and consumers worldwide, is family owned and operated with over four decades of experience. The company’s law enforcement grade pepper sprays provide consumers with the same superior quality chosen exclusively by the New York Police Department, Los Angeles County Sheriff’s Department, and law enforcement agencies worldwide. Stay informed by following SABRE on Facebook at @SABREredpepperspray, on Twitter @SABRERed, on Instagram @SABRESafety or by visiting www.SABREred.com. Recognized as one of the leading breast cancer organizations in the world, National Breast Cancer Foundation (NBCF) is Helping Women Now® by providing early detection, education, and support services to those affected by breast cancer. 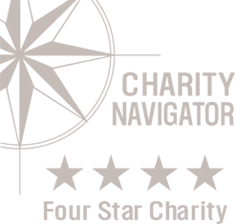 A recipient of Charity Navigator’s highest 4-star rating for thirteen years, NBCF provides support through their National Mammography Program, Patient Navigation, Beyond The Shock®, breast health education, and research programs. For more information, please visit www.nbcf.org.